When Ellie Fisher has to work late one night and misses her train home, she comes across a young man, Gareth, about to jump off the railway bridge and talks him out of committing suicide. Little does Ellie realise that this act she considers a good deed is about to change her life, and not for the better. Although the premise of this book is promising, it was initially hard to get into, simply because all the characters start out so unlikeable. Ellie’s husband Matt has been out of work since a car accident caused serious injury – an accident he still blames Ellie for, since she was the one driving. He is also possessive and incredibly jealous, forever accusing Ellie of having affairs. Ellie’s Sister Holly is younger, prettier and thinner – and takes great delight in telling Ellie so, at every opportunity. She also seems to be something of a ‘slapper’, including Matt amongst her conquests, despite the fact that she is forever telling Ellie that Matt is a waste of time. This is a message Ellie also gets from her disapproving mother. However, it’s difficult to feel sorry for Ellie being surrounded by so many unpleasant people because she seems to put up with it all and comes across as being a bit of a doormat. When Gareth reappears in Ellie’s unhappy existence expressing gratitude for saving his life, he appears to Ellie as kind and attentive and she responds positively. But Gareth’s presence in her life complicates it even further. Matt is convinced she’s sleeping with him and Holly, despite her own wedding being imminent, is hell bent on taking him to bed herself. It’s obvious to the reader, fairly early on, that Gareth is not what he seems. It seems to take Ellie a frustratingly long time to pick up on this. However, the pace picks up as the book progresses and it does eventually turn into a gripping read. Ellie finds some courage and some of the people in her life eventually see the error of their ways, making a satisfactory ending to a story that does deliver tension and excitement, after a somewhat slow start. 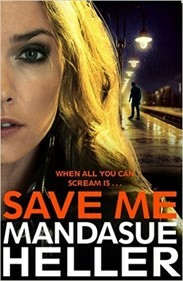 One for fans of psychological thrillers.